A selection of natural Brooms or Besoms, made from Australian native gum and brush - from The Realm of White Magic - order online! Sacred to the Goddess and the God. Represents the Element of Water. 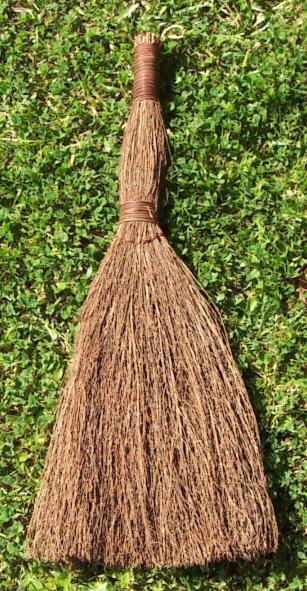 The Broom or Besom is a purifying and protective instrument, used to cleanse the area for magick or to guard a home by laying it across the threshold, under the bed, in windowsills or on doors. Bless and anoint with Peace and Protection Oil or Cinnamon Oil, use your Broom to cleanse and sweep the area thoroughly before setting up your altar. These fragrant besoms make great gifts. A handy size Broom, small enough place on your altar or pop in your travel bag. Made from Tennessee harvested corn, hand braided and soaked in cinnamon oil. This earthy fragrant besom is very unique, no two are the same and each besom comes with a twine loop for hanging. *One old wart cure consists of measuring a wart crosswise with a broom straw, then burying the straw. The straw, so intimately connected with the wart, will decay, and so too should the blemish. 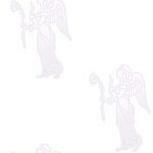 *Placing a broom across any doorway allows your departed friends and family to speak to you if they so choose. As long as the broom remains in place, they can communicate freely. *If you feel as though you are being followed and haunted by unfriendly ghosts, stepping over a broomstick will prevent them from disturbing you. 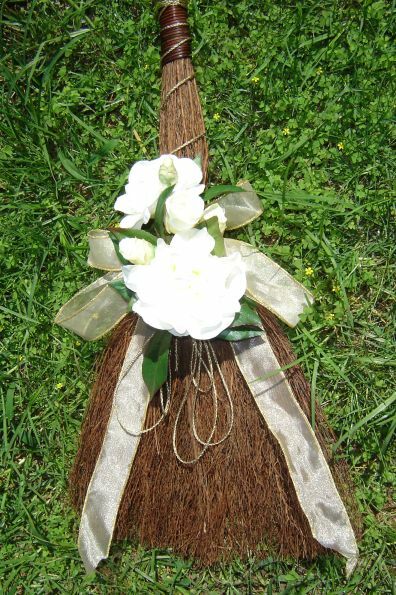 The traditional Broom represents the union of the God and Goddess (the staff and the bristles). The majority of Witches who own them, use them as altar decorations and as magickal tools to symbolise fertility and to sweep the magick circle clean of any traces of negative, spiritual or psychic energy. "Jumping the broom" is a time-honoured African custom dating back to a time before Europeans had ever visited West Africa. The first slaves brought to American shores insured that this custom was passed down through generations of African Americans. It remained an integral part of the marriage ceremony for African slaves across the North American continent. It is still practiced amongst African Americans as well as in some parts of West Africa today. The broom has symbolic and spiritual importance in the African culture. It is a simple icon for the clean and loving home with a warm and welcoming hearth. It also reminds the couple of the importance of coming together cleansed and ready to leave their individual pasts behind them. 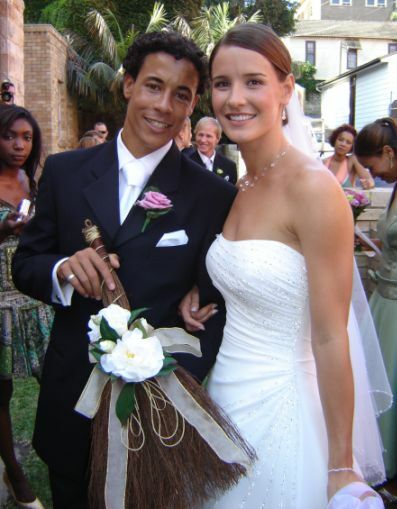 Jumping the broom embodies a symbolic leap of faith by the happy couple into a new life and a committed effort to honour that new life. As they leap they also bring with them the love and blessings of their two families. Bringing this charming custom into our ceremony today is our way of honouring Scott's African ancestors and the rich legacy of their heritage. Many thanks to this happy couple who shared their information and special photos of one of our Cinnamon Brooms, decorated for their special day and ceremony!